Angry Birds Starwars, a photo by CAKE Amsterdam - Cakes by ZOBOT on Flickr. 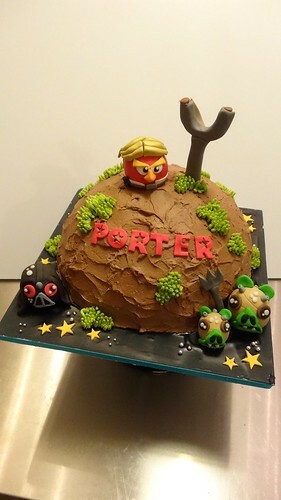 Angry Birds - Star Wars planet cake for Porter's 6 3/4 birthday party! Happy nearly 7th Birthday Porter!